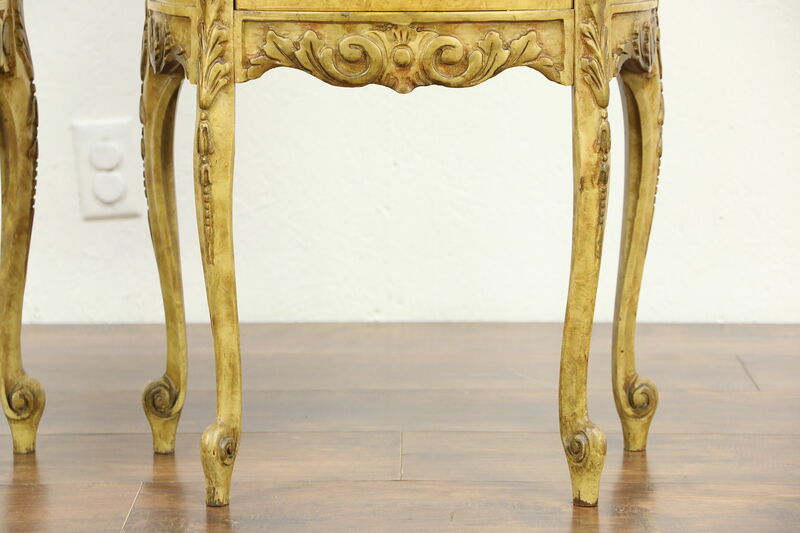 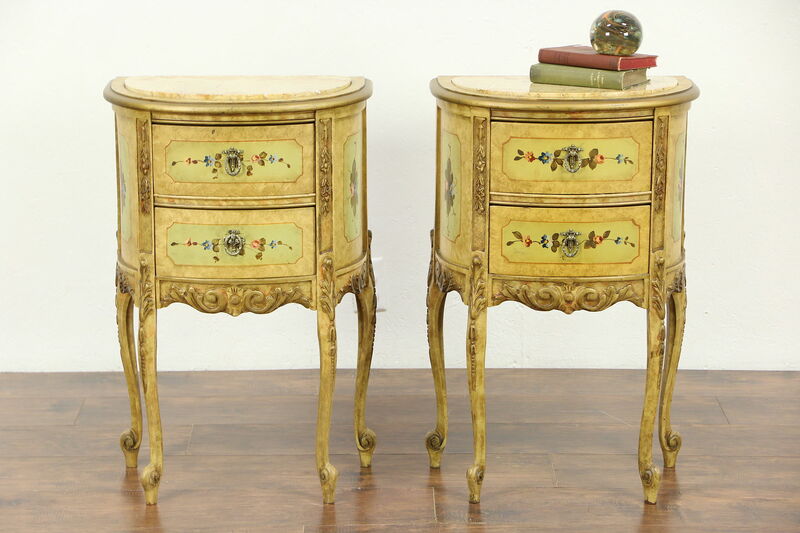 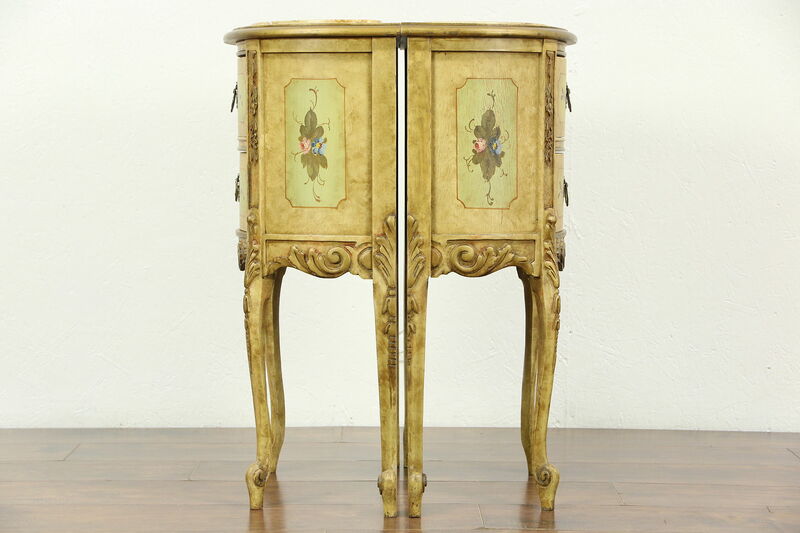 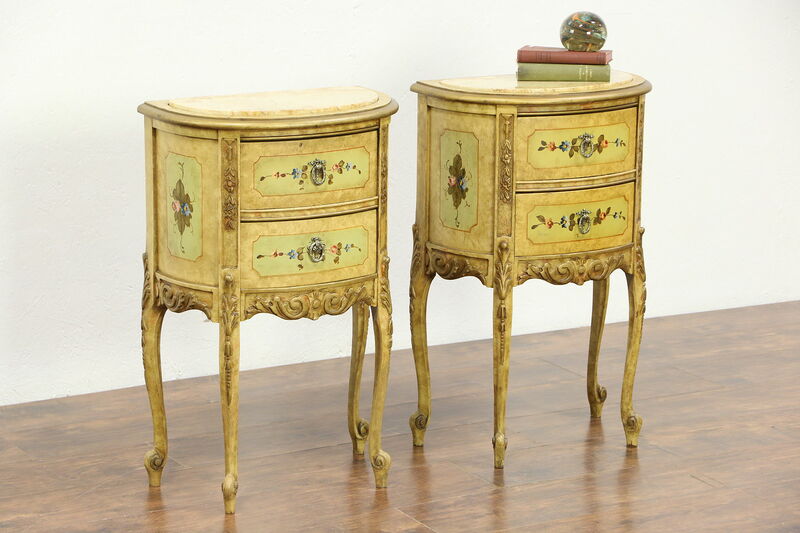 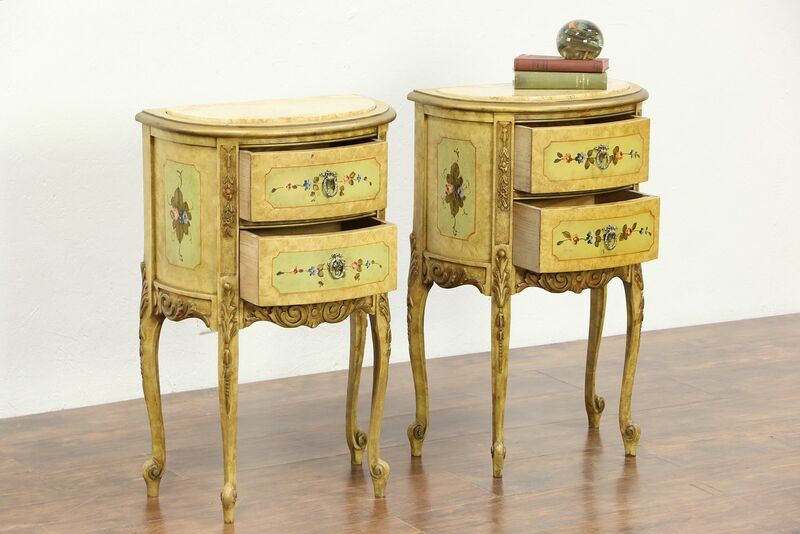 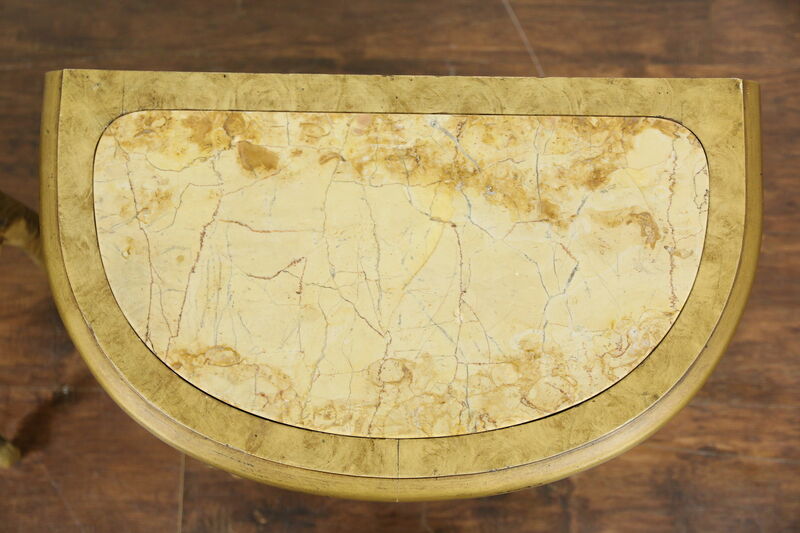 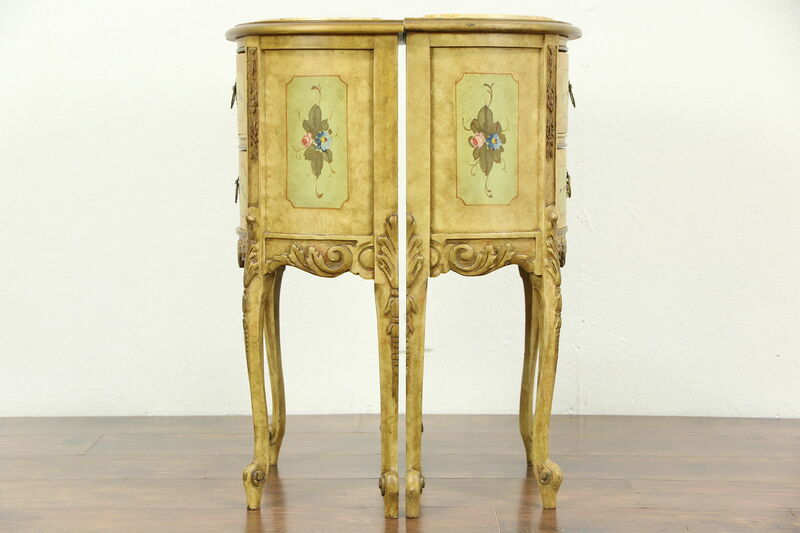 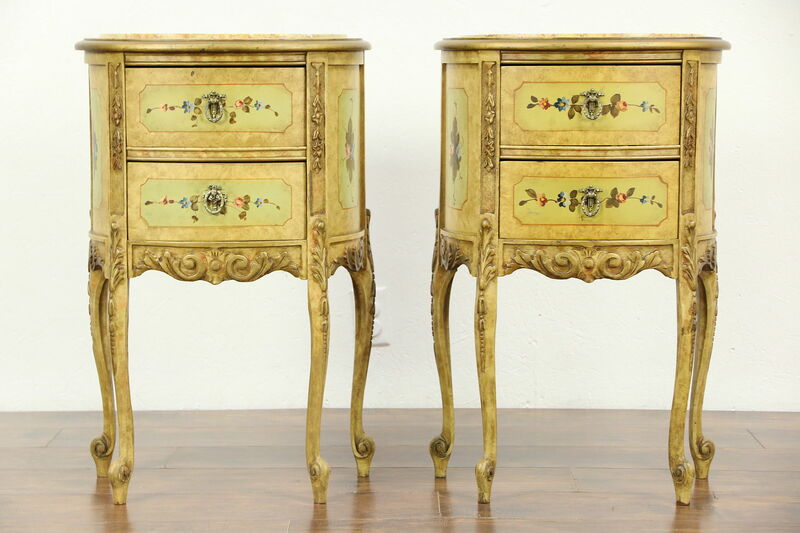 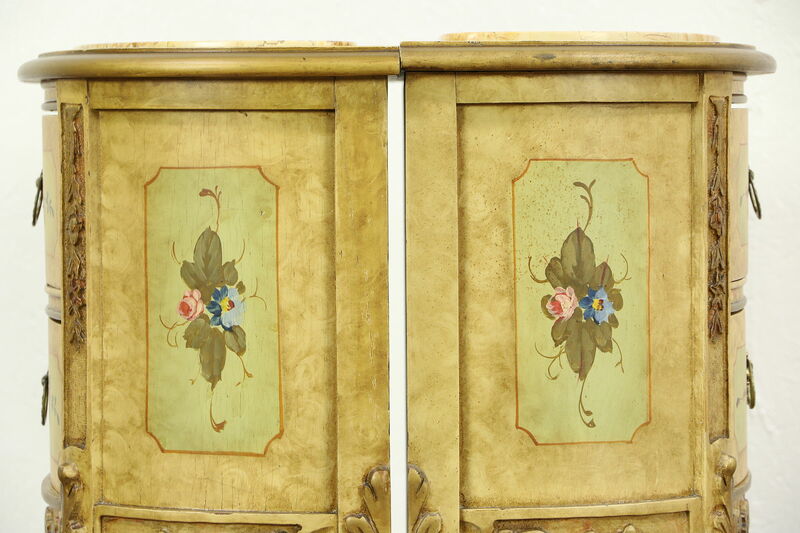 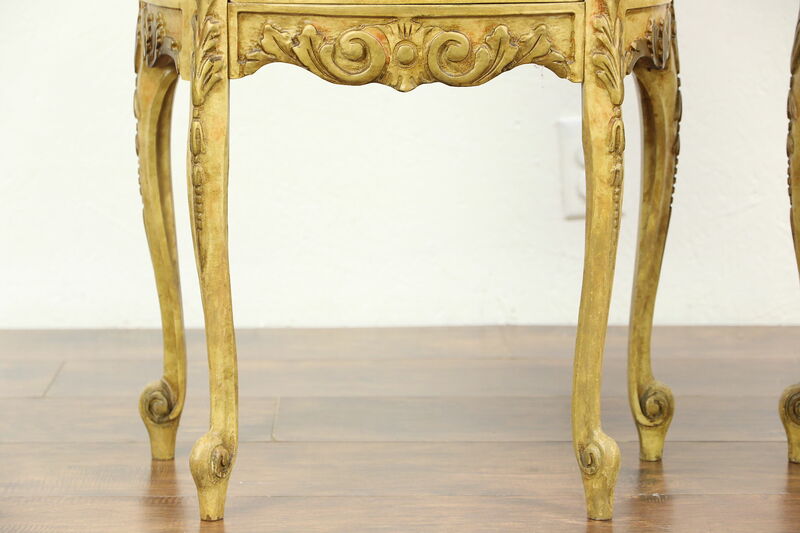 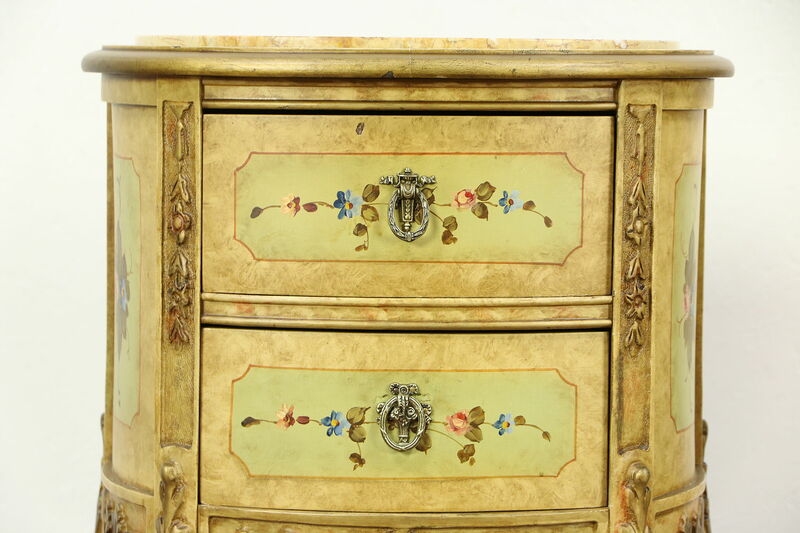 A pair of demilune or half-round end tables or nightstands with marble tops were hand painted in the 1930's. 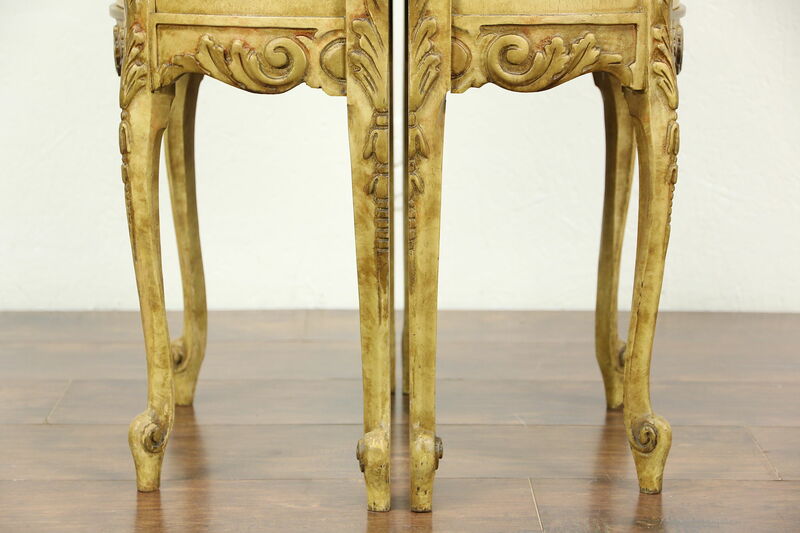 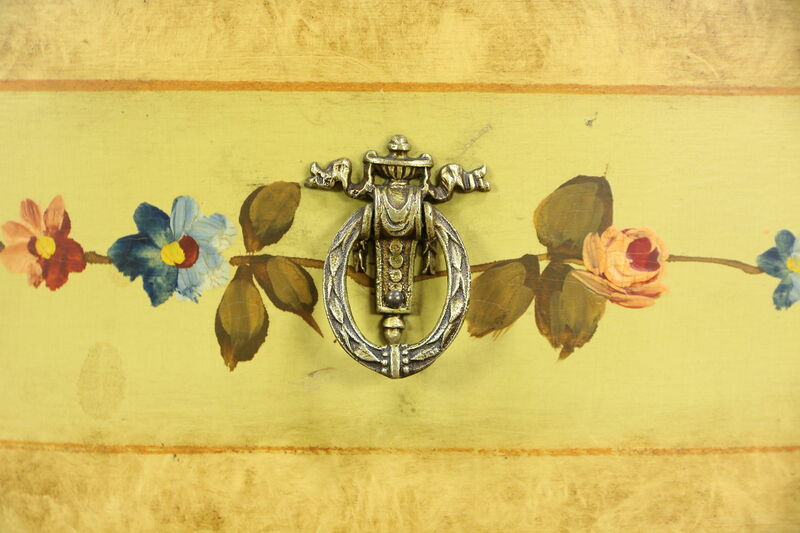 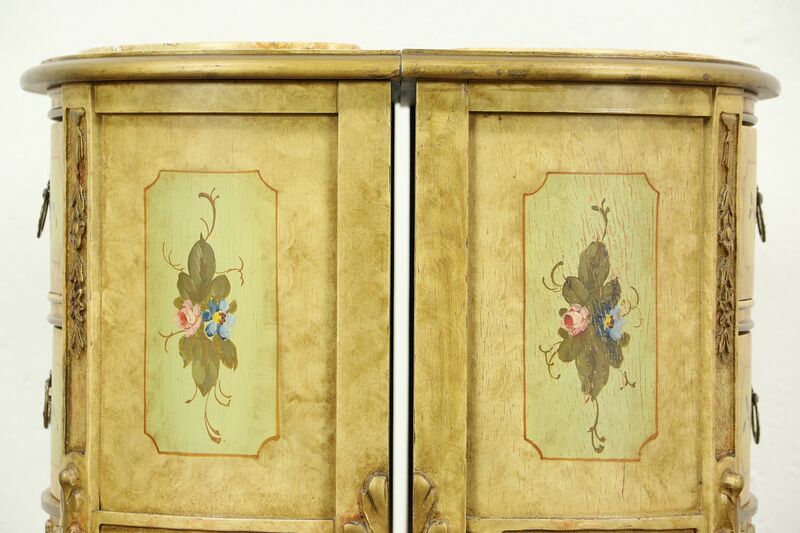 The original finish has some charming wear for patina and has been protected with clear varnish. 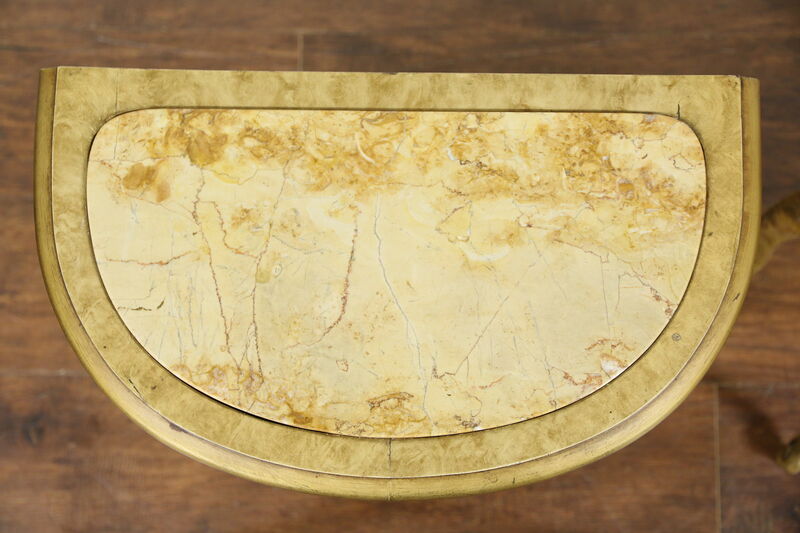 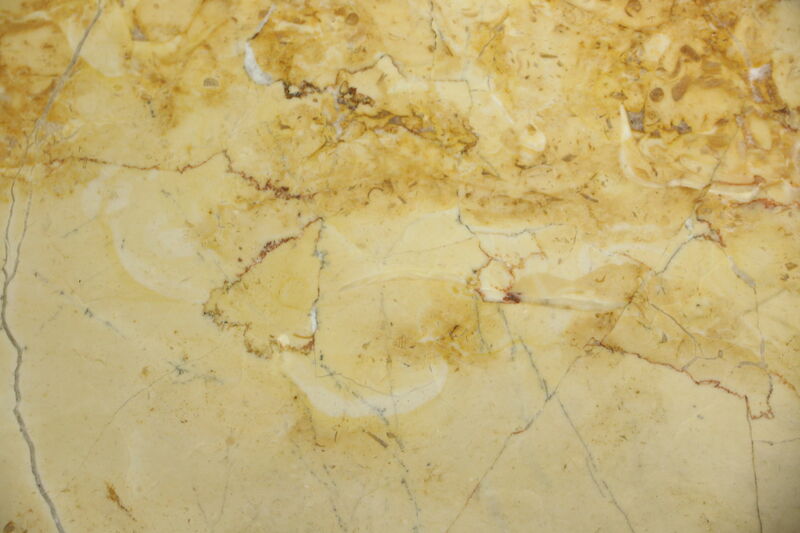 Marble tops have been polished and sealed to resist stains. 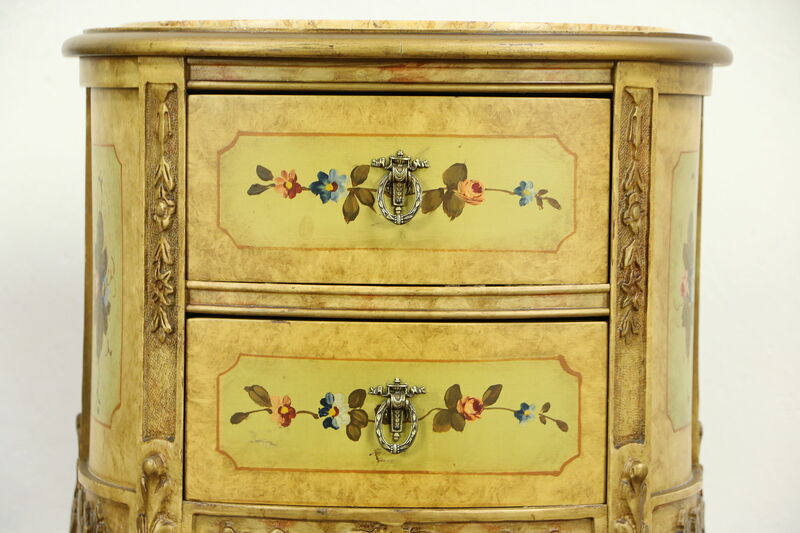 Curved drawers have original knobs and dovetailed solid oak sides on this American made vintage furniture. 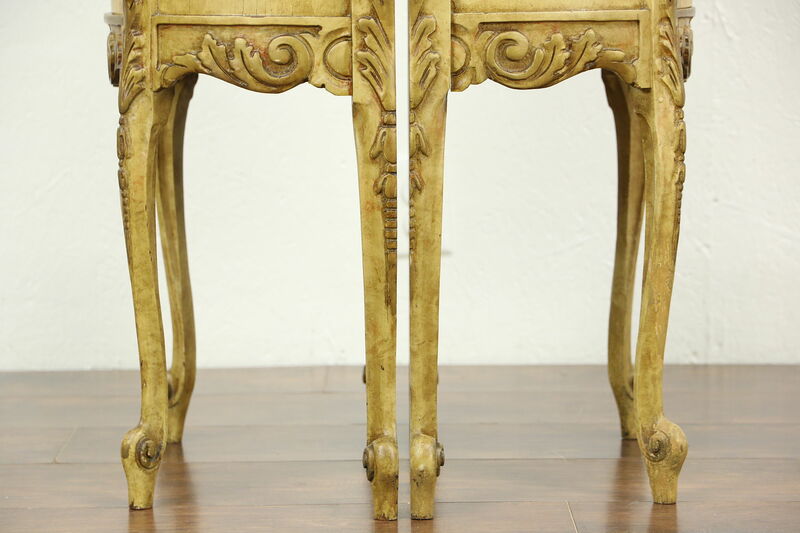 Size is 19" wide, 11" deep and 29" tall.